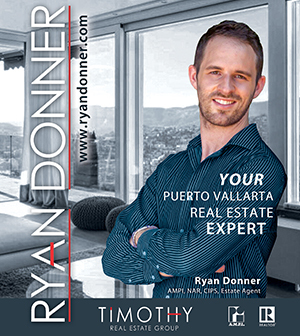 Luna Rumba Productions presented their Moonlight Concert Series this season on the beautiful grounds of Los Arroyos Verdes on the outskirts of Bucerias. The result was 4 unforgettable evenings of music, performed by some of the best musical talent in the area. All the concerts sold out with over 350 in attendance each time. The complete concert series included Luna Rumba, Duende, Arte Puro and an End of Season Party with special guests Media Luna and Chas Eller. In the gorgeous setting of Los Arroyos Verdes, I was thrilled to experience the final concert of this series on March 13th. After an absence of several seasons, Luna Rumba has once again returned with their blend of Latin Fusion, Gypsy Flamenco, Arabic Melodies, Cuban Rhythms, Celtic Riffs and Latin Jazz. Whenever this group has taken the stage over the years, the audience explodes in cheering and applause. It is clear that Luna Rumba captures the hearts and soul of their audience. Luna Rumba is a celebration of exquisite sound. They offer a mix of eclectic music: with accompanying vocals, fiery violin, rumba-flamenco guitar, soothing flute, cool bass and exotic percussion instruments and drums. Their award-winning, world-music style enthralls and excites because it is delivered by a group of superbly accomplished and creative musicians. The new Luna Rumba includes Eduardo Leon (Lalo) on vocals and nylon guitar; Alex Gonzales on drums/percussion; Luis Rascon on cello, flute, percussion and support vocals; Ever Sanchez on Bass and support vocals; Lilly Alcantara on percussion and dance; and Geo Uhrich on vocals, guitar and violin. Joining Luna Rumba in this final, end-of-the-season concert was the acclaimed group Media Luna, who specialize in Gypsy-Flamenco style music. This trio of fabulously talented young musicians from San Miguel Allende was on fire as they played along with Luna Rumba. The fusion of these two groups was musical euphoria, as they blended their talents to make something much greater than just two groups performing together. Lilly Alcantara with her gorgeous costumes and graceful, yet powerful dancing, alternated between percussion and dance throughout the evening, adding a wonderfully creative dimension to the entire concert. During the first set, we enjoyed Moro de Oro (an original song by Geo), Il Tore (a Mediterranean style piece), Cambia Todo Cambia/Everything Changes (a Chilean piece), Baghdad (a Jesse Cook masterpiece) and Noche de Bohemia (a Spanish song). 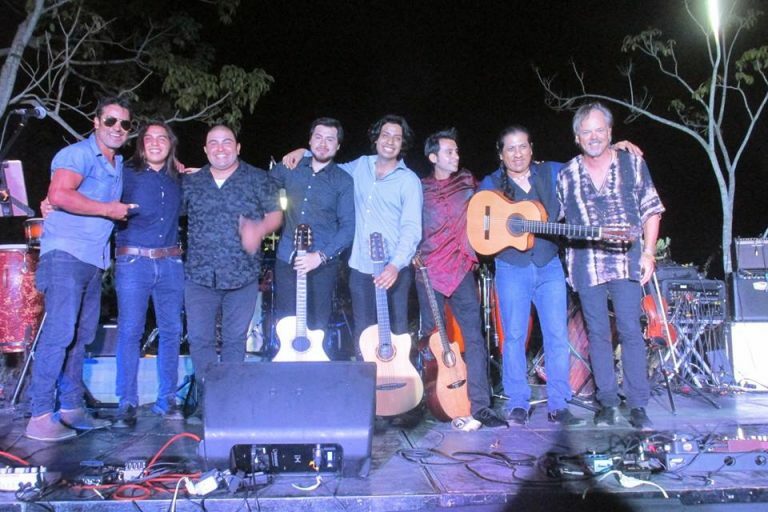 At this point in the evening, Media Luna was invited on stage with Luna Rumba and the concert continued with the two groups performing El Bravo, Margarita, The Violin Song and Alma Rasta. The fiery musical exchange between the members was pure magic and we were spellbound by the combined musical talent that we witnessed. After the rest of Luna Rumba returned to the stage, they performed Espiritu de Amor, a song that Geo wrote and recorded with Chas that went on to win the 2nd place in the world for the best instrumental song in the 2014 International Songwriting Contest. The second set continued with Eduardo Leon singing Malaguena Salerosa (traditional Mexican song) and a new instrumental by Geo called “Bailando Los Caballos”, which featured real dancing horses in front of the stage. We then heard Mana’s popular song, Corazon Espinado and Europa, a Carlos Santana favorite. Luna Rumba continued with the rousing song from Nigeria, Ji Go Lo Ba. And the Finale included Media Luna and Luna Rumba together rocking out the crowd with an improvised version of Paco de Lucia’s “Entre dos Aguas”. Geo went out into the crowd with his violin and played his heart out to the appreciative audience. In the five years that I’ve been covering entertainment around the Bay, this was the most amazing musical talent that I’ve seen assembled in one place. There was no competition, only the joy of singing, playing and expressing the music! Many Bucerias residents attended all 4 of the Moonlight Concerts. There was a very special moment when Geo mentioned Luna Rumba getting their start at Philo’s in La Cruz back in 2011. We all miss Philo Hayward and applaud what he contributed to music on the North Shore. 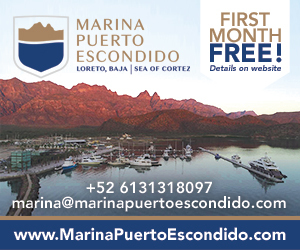 And we thank you, Luna Rumba Productions, for this wonderful gift you bestowed on Bucerias this season. And to Fernanda, who worked tirelessly behind the scenes to help make these concerts happen, we truly appreciate you! Thank you Guadalupe Del Carmen Dipp for hosting these incredible concerts at your beautiful Los Arroyos Verdes!